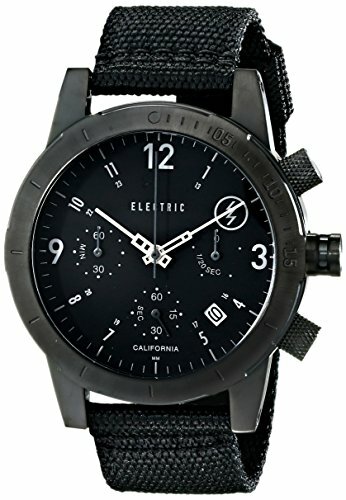 A heavy duty timepiece for the casual trekker of streets and trails, the Electric FW02 Nato Watch incorporates sophisticated construction techniques and functional details with time-proven classic aesthetics. The 44 millimeter surgical stainless steel houses a Japanese quartz chronograph featuring six handsome brass hands accurately indicating time and date. The protective, raised construction can undergo nearly 600 feet of water pressure without leakage or damage. Electric manufactures this expression of the FW02 with a woven polyester band featuring contrast deco-style stitching.